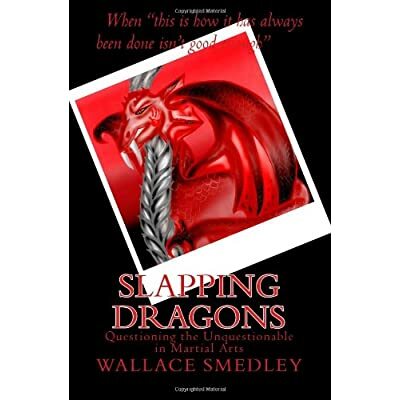 The book ‘Slapping Dragons’ is about taking a close look at some of the strange beliefs and practices often found within the martial arts. Some of the claims are silly, such as Qi power and the touch of death, and some of the claims are dangerous, as in when self-defense/self-protection is advertized, and the actual lessons contain incorrect information and ideas which could put you in jail or cause you to be killed. Through personal anecdotes, hard facts and a generous dose of humor, the book shines a light on many subjects surrounding the martial arts, and applies critical thinking skills to examine if they stand up to reason. Will get it soon, got so many books I'm reading at the moment. I hope you don't mine I've shared this on other forums I'm on too? Amazing how gullible people can be in all areas of life, so it's no big surprise to me that it happens in MA as well. Well timed recommendation as I just finished one Martial Arts book (Ed Parker's Infinite Insights 1) so ordering this and reading it while it's current was ideal. Although I've also got a 4 foot high pile of books waiting to be read!